The word Vespa has almost become synonymous with scooters in the same way that Hoover is with vacuum cleaners or Jacuzzi with hot tubs. The classic Vespa design is so iconic that owners Piaggio have kept as much of it as possible for their entirely modern incoming Vespa Elettrica model. The Vespa PX125 design has remained largely unchanged since it first appeared in 1977. If handling and performance are high up on your list, the Vespa isn’t for you. But if you want to look cool as you cruise around at town speeds, look no further. Vespa owners are a passionate bunch and there’s no shortage of clubs and ride outs to get involved with, too. 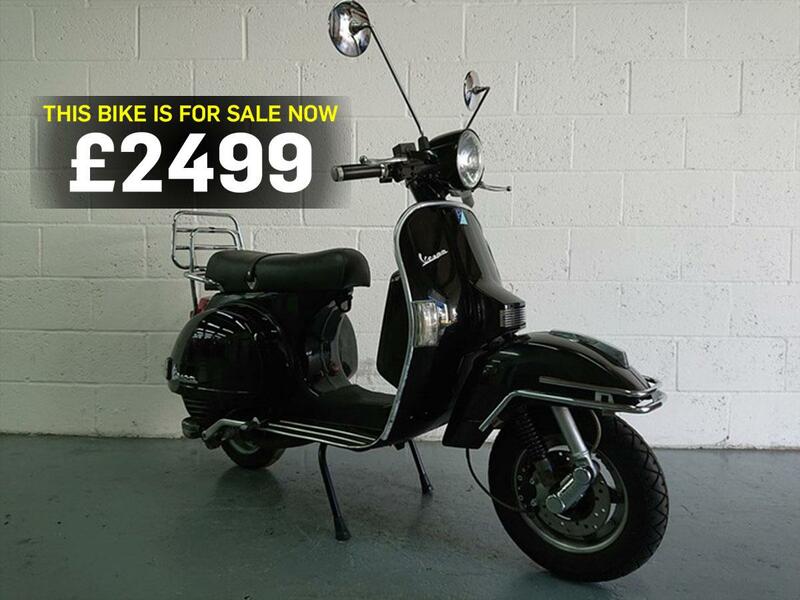 "This 2007 Vespa PX125 is in good condition with 14,000 miles on the clock. This is a very sought after, discontinued model that will be perfect for fun. "It comes with all the original Piaggio documents, two keys, service history and a clear current MOT." Find a Vespa PX125 for sale. It may not be fast, but the Piaggio Vespa LX50 is very stylish, lots of fun and very practical. "Essentially unchanged since its introduction in 1977"
"Underneath the classic looks they're a modern scoot"
"The easiest way in to Vespa ownership"
"Limited-edition trendy 278cc scooter from Vespa that offers performance, practicality and style"
"Race bike styling and graphics but it's still a 50cc moped restricted to 30mph"
"Hybrid technology has finally reached motorcycles but sadly it's not quite ready to provide a viable alternative yet"
"Halfway between a full-on maxi scooter and a lightweight city scooter"